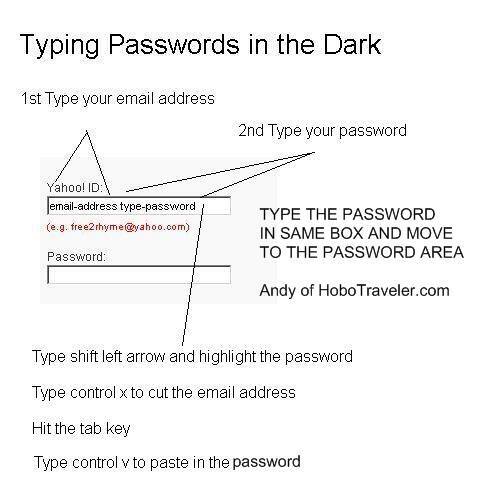 How to know you are typing the correct password when you cannot see it? Type the password next to the email address, cut and paste it into the password box. I work on the computer in some strange places, here in Peru I need to type Alt 6 4 just to make the @ sign. When I am in Africa, the French computers have their alphabet in different locations. Now, the next problem is these short cut keys change from country to country, I do hope you get the idea.